Josh Cameron is basketball royalty–MVP of the Championship Boston Celtics and a media darling with a spotless reputation. He’s got it all, including something he never even knew he had: a daughter. Twelve-year-old Molly Parker catches Josh off guard. Molly claims her mother, Jen, revealed his true identity before losing her battle with cancer. Of course, Josh doesn’t believe her. Still, there is something about Molly–a certain look she gets and her smart-aleck way that reminds Josh so much of Jen. Yet as Molly gets to know Josh, it’s she who has the doubts. Suddenly she understands why her mother never wanted her to know the real Josh Cameron, the one the camera never sees. Josh has room in his heart for only two things: basketball and himself. Does Molly really want this man for a father? 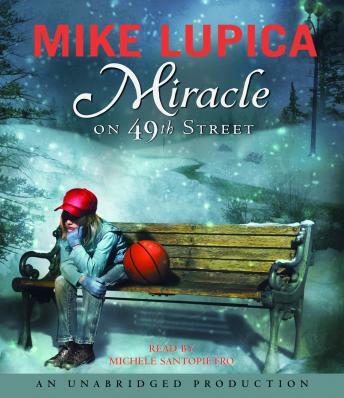 New York Times best-selling author and ESPN personality Mike Lupica introduces this hoop story with heart just in time for the holidays. Another undeniable winner. Amazing book if you like sports . P.s. The author has a lot of mistakes.